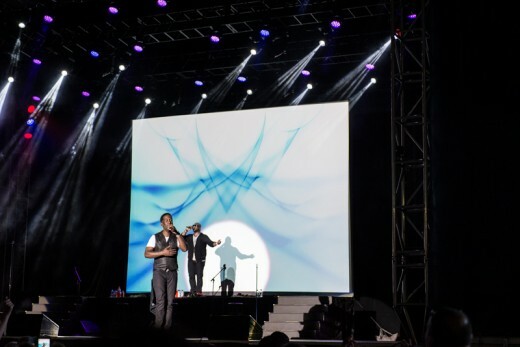 Boyz II Men put on an amazing show at The Fair on Thursday night drawing huge crowds of all ages including a large number of fans who grew up with their music in the 90’s. The R&B vocal group formed more than 20 years ago in 1988 and is still the same crowd pleaser they have always been. 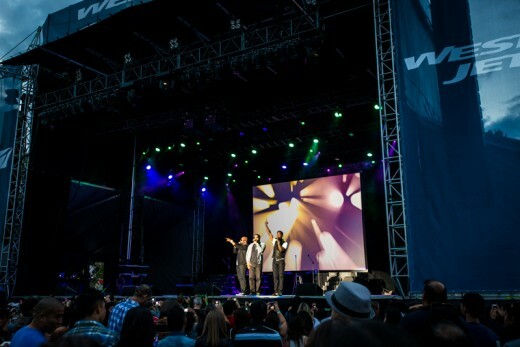 The trio began the show with a few fan favourites and then broke into an upbeat Motown medley in tribute to Motown Records the label that gave them and many other artists their first big break in the music industry. This included a classic Motown dance routine that definitely showed they’ve still got it. Boyz II Men showed real class by constantly praising their fans, thanking them for years of support and kept everyone moving on their feet with lots of upbeat songs. 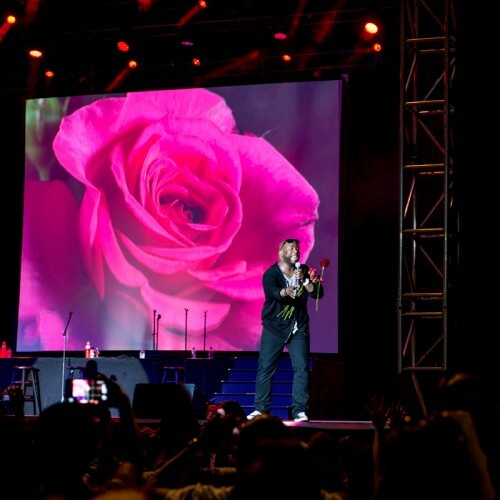 They slowed it down a little and broke into one of their most loved hit songs “I’ll Make Love to You”, and threw red roses into the crowd for the entire song. This was a huge crowd pleaser. Boyz II Men finished the evening with an old favourite “Motownphilly” drawing a huge applause and cheers as they left the stage. Hundreds of fans lined up after the show for a meet and a greet with the trio. The evening was definitely memorable for everyone. This entry was posted in Concert, Concert Reviews. Bookmark the permalink. ← Haven’t Checked out The Fair Yet? Here’s What you’ve missed! Fair | PNE Blog < Loved it!